It looks like the world of Marvel is about to get even more inter-connected with this latest news. I've learned a pair of characters from Marvel's Agents of SHIELD series on ABC will make a cameo on a Disney XD animated series. 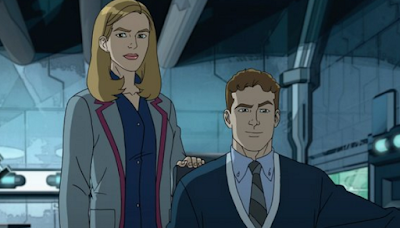 According to Variety, Leo Fitz (Iain De Caestecker) and Jemma Simmons (Elizabeth Henstridge) will appear on the March 13 episode of Marvel’s Ultimate Spider-Man vs. The Sinister 6. Check out a clip from the episode below. Variety has the full story below.